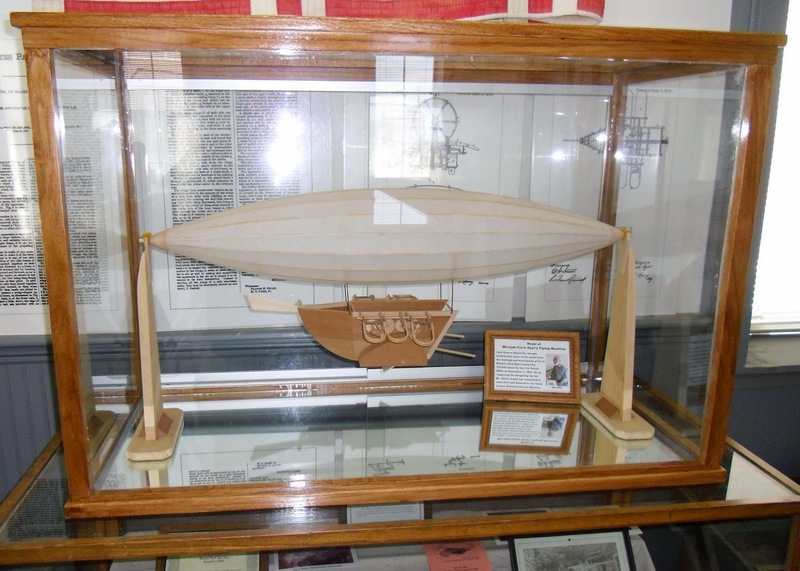 The Model of Clark Dyer's "Apparatus for Navigating the Air" is now on display at the Union County Historical Society's Museum in the Old Courthouse on the Square in Blairsville. 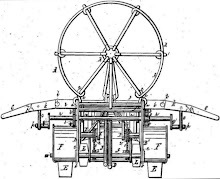 The model was built to scale by Jack Allen of Blairsville using the 1874 U.S. Patent drawings and descriptions. The display case has a mirrored floor which enables a view of the open bottom of the craft and its internal working parts. The hinged wings are left uncovered to show how they function. ﻿Many thanks to Jack Allen for his time and skill in building this model of Micajah Clark Dyer's flying machine. 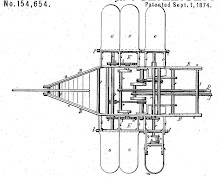 It will be enjoyed for years to come and will acquaint the public with the genius of Georgia's Pioneer Aviator who was able to envision, build and fly an aircraft with steering capability far ahead of other airplane inventors.